Don't shy away from a rainbow of highlighter shades this season. 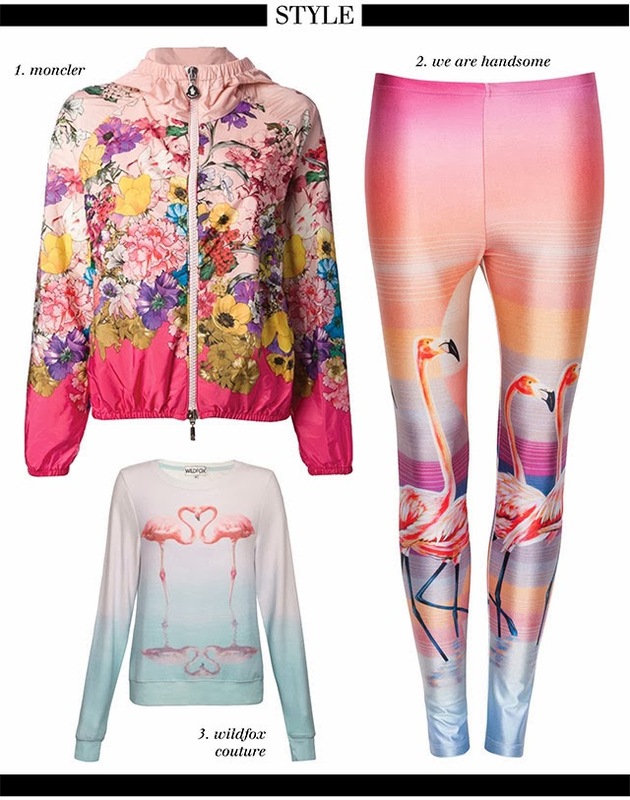 Look to vivid florals like this jacket from Moncler, or test the waters with a slightly less saturated but equally playful flamingo print baggy beach jumper by Wildfox. Feeling adventurous? We're head over heels for our new brand, We Are Handsome; their Bahamas Leggings are ready to turn heads. We agree with our friends at VioletGray.com who stated that, "in polite society, a manicure is deemed a necessary luxury." 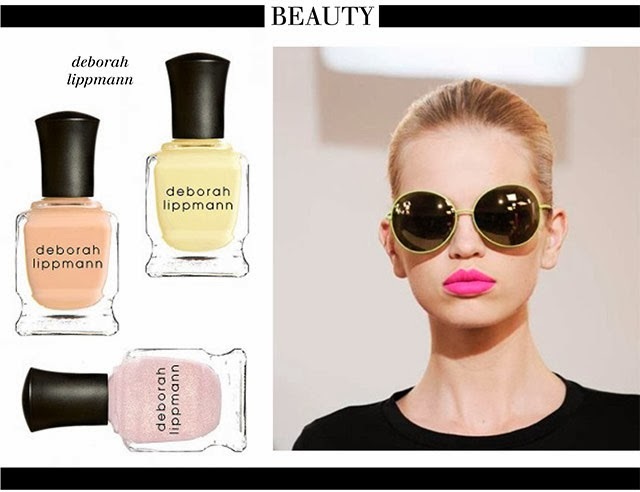 It's going to be almost impossible to choose our favourite Deborah Lippmann nailpolish shades from the new Spring Reveries collection (new in store! ), but these citrus hues have us dreaming of warmer days... Paired with bright lips and big sunnies, it's hard not to feel like everything's coming up roses. 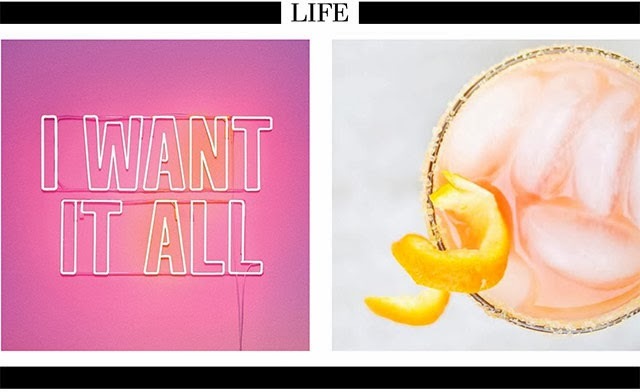 To complement the freshest pieces in our wardrobe - and that new spring mani/pedi - we'll spend the next few weekends adding pops of colour to our homes (how amazing in this neon sign? ), and sipping cocktails like this Orange-Guava Margarita. Come visit us in store for even more spring brights... Until next time, cheers!